Miter Contracting is an Atlanta based commercial and residential general contracting firm servicing the greater Atlanta area. Miter Contracting specializes in general maintenance and property clean outs to full interior build outs and capital improvements. We are a fully insured firm carrying general liability, workers compensation, umbrella and automobile insurance coverage. Miter Contracting is owned by Mike Cannatella who has over 20 years in the contracting and construction industry. At Miter Contracting we are devoted to holding our employees and contractors to the highest industry standards. The majority of our business is from our client referrals and word of mouth so it is paramount that we ensure every project is completed leaving the client totally satisfied. Our success is dependent on the happiness of our clients. ​At Miter Contracting we understand the keys to success are staying within the budget, meeting deadlines, frequent communication and skilled workmanship. It is our goal to build long-lasting client relationships by delivering on this commitment. Contact a team member at Miter Contracting today to get your commercial or residential project started! "miter construction is the best"
"mike cannatella was a breath of fresh air after having some nightmare experiences with contractors in the past. mike came highly recommended by allstate, our insurance company, regarding a roof that needed to be replaced. we were impressed by his friendly, efficient, and professional manner. he really listened to our requests. the quality of the work, and the attention to detail at every phase of the construction was outstanding. we proceeded to have miter contracting remodel our kitchen, install blinds throughout the house, and do some major insulation work. we have recently purchased a townhouse on the georgia coast and mike will be doing the remodeling there as well. miter contracting is the best! we will continue our relationship with mike- He is awesome!" ​"Thanks again for the great job that you did." I just wanted to say once again how much I appreciate your help and service in getting my house repaired after the Mac Daddy of Trees fell on my house. I was in such a panic when it happened, and didn’t know how I would get the house protected with my leaving town two days after the tree fell. You were like a Knight in Shining Armour coming to save the day when you tarped over the roof and taped the damaged windows. I was able to go on my long planned family vacation without being concerned about further damage to the house. I also really appreciate your concern about my dogs and getting the fence repaired as soon as possible so that they could get back into the back yard. I have been so pleased with all the repairs – everything was done so well and the new roof and deck are just perfect – everyone thinks they look so good. I also think that your services made a major difference with the insurance company. People kept telling me that it would take forever and that I would have to fight to get payment from my insurer – but I had no difficulties, and really think that it was your thorough estimate and meeting with the ADJUSTER that made the difference in dealing with them. I don’t wish for my friends or acquaintances that they have a tree fall (or any other disaster), but if they did, I would look forward to recommending Miter Contracting to them, knowing what great work that you do, and that they would be so well taken care of. Thanks again for the great job that you did." "Mike and his crew did an excellent job!" "Thank you for the excellent job you did in finding shingles that matched perfectly. We suffered a lightening strike to our home which damaged our roof in 3 places. We went through 6 roofing contractors and were not happy with any of them as they all wanted to replace the entire roof vs just fix the damage. We heard about Mike Cannatella of Miter Contracting through word of mouth from a friend and contacted him. He immediately came out to our home and inspected the damage and gave a fair repair price. However, the problem was in trying to match up the shingle color and style since our 12 year old shingles were no longer available. Our Home Owners Association requires that the shingles match, however, none of the previous contractors could locate a suitable replacement shingle that would match. Mike was able to find a suitable shingle that was a spot-on perfect match. Our Home Owners Association approved these shingles. Mike came out and performed repairs and also added a ridge vent all within just a few hours! I am a perfectionist and was very satisfied with their work. I could not see where the damage was as the shingles blended in so perfectly! Mike came quickly, did the repairs, cleaned up afterwards and made sure we were happy with the finished job. Mike and his crew did an excellent job! I would HIGHLY recommend Mike and Miter Contracting for any roofing or general contracting work…you will not be disappointed!" "YOU WILL NEVER GO WRONG HIRING MITER CONTRACTING." "Miter Contracting is a company I would highly recommend to anyone who needs a good contracting company. 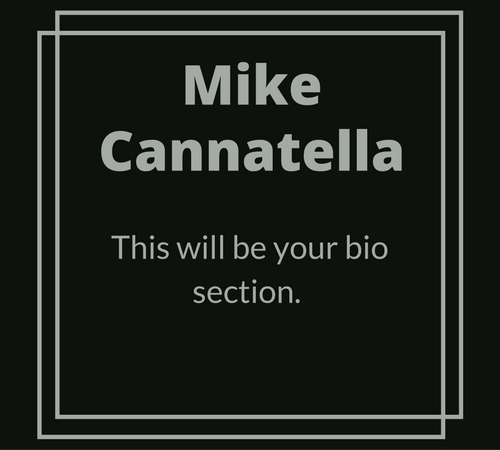 I've had the privilege of knowing Mike Cannatella for close to 10 years and have never been disappointed in his quality of work and professionalism. It is truly rare in this day and age to find someone who is a man of his word and does what he says he will do and in a timely manner. His word is his bond. Not only has Miter Contracting done many jobs for me, I have recommended him to numerous people, all of whom were equally pleased with the job they did. From putting a new roof on my house, repairing a major leak and rebuilding my ceilings, replacing all of my hardwood floors, repairing and painting my entire house to many less major jobs, all were done with excellence. You will never go wrong hiring Miter Contracting." "Miter Contracting did an EXCELLENT job!" "Mike Cannatella and Miter Contracting did an EXCELLENT job for us! We recently went through a kitchen update due to water damage and Miter Contracting was suggested as a dependable company. Mike and his crew completed all of the original contracted job as well as several add-on projects we requested. Miter Contracting does quality work and stayed within our budget for the kitchen update. Anytime there was a question, an unforeseen issue, or if we just wanted a face-to-face update Mike was happy to meet with us at our convenience. I would recommend Miter Contracting for any type of home improvement or renovation and we will continue to use Miter for our future projects." "Please tell mike thank you for doing such a great job and making this whole process so simple. his professionalism was note worthy and definitely made for future calls and certainly referrals!!!"